Ten years ago Ashish Soni was one of 25 students, selected from 7000 applicants, to graduate with a Bachelor’s degree in Design and Clothing Technology from India’s National Institute of Fashion Technology, New Delhi. In the decade that followed Ashish whizzed past many personal milestones. 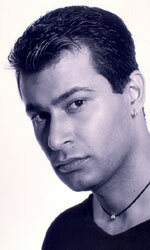 He launched his own label ‘Ashish Soni’ in 1991, followed by his design studio Ikos in 1993. The same year, he became the first Indian designer to hold a solo showing followed by his annual shows thereafter at Delhi. Another Ashish Soni first was his exclusively menswear collection shown in 1999. To celebrate the millennium he presented the Khajuraho costume collection, inspired by the famous thousand year old temples. Support for these shows came from leading corporations many of whom have collaborated with him on more than one occasion, a recognition of Ashish’s continuing efforts to ensure that their participation is truly recognized. In addition to his considerable domestic presence Ashish Soni has also worked towards a presence internationally, both through numerous fashion shows abroad, as well as collaborations with international fashion brands such as Bvlgari. The designer has represented India in numerous Festival of India shows around the world, and has also participated in fashion events in places like Oman, Thailand, Hongkong, Singapore, Tokyo, London, New York and Paris. He also retails successfully in Dubai though the largest couture store in the Middle East, Fasateen. 2001 celebrates 10 years of Ashish Soni, and to commemorate the event, the designer launched his Flagship store in Delhi. His creations also retail in select outlets in Mumbai, Bangalore, Dubai, Calcutta and Madras. Ashish Soni’s creative flair is rooted in a fiercely Indian family background, enhanced by western influences through an education mostly abroad. His multiple exposures developed a clear and sharp aesthetic, which earned him a prominent place in the world of Indian haute couture. Ashish’s signature lines are characterized by extreme simplicity, flawless lines, immaculate cuts and a perfect finish. His panache and originality, his intuitive and original sense of style, combine with impeccable garment construction to create stunningly simple yet dramatic garments. Ashish uses fabric and texture with a masterly eye, combining different weights and weaves in a single ensemble with astonishing results. With design as his primary focus, embellishments are subsidiary and used with great restraint to highlight form. The immaculate balance between mind and eye, skill, innovation and sense of drama translates into timeless and distinctive garments for men and women of the new millennium.